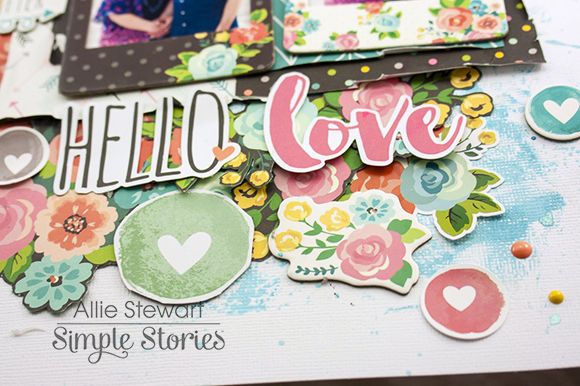 I have TWO new layouts on the Simple Stories blog using the new Carpe Diem Scrapbooking collection! One of my favorite techniques is fussy cutting designs from patterned paper, and the Brand New Day pattern is perfect for it! I used my trusty scissors and cut out as many flowers as I could. Next, I added flower elements from the chipboard and sticker sheets, to add variety and dimension. I arranged the flowers so they looked like they were cascading down the page. I used the fun watercolor hearts as another accent, just because I love them so much! Another one of my favorite embellishments from this collection are the frames. They're just the perfect thickness and I love the patterns they come in. I used two of them to highlight my photos. 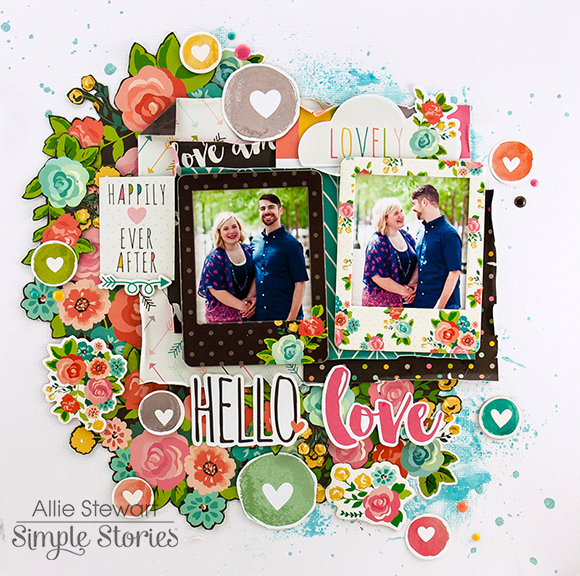 Since this layout had a lot going on, I decided to make it "distressed" by crinkling the edges of the layers and adding a watercolor background with gelatos. 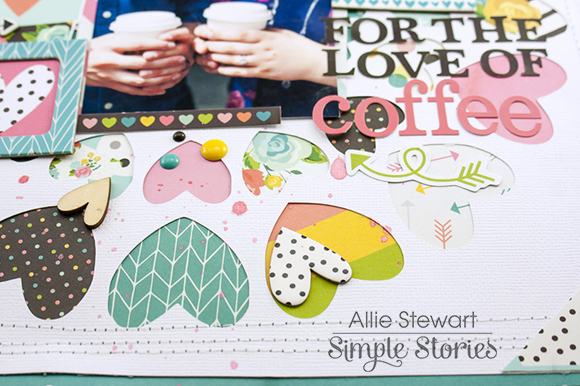 For this next layout, I wanted to highlight the coffee themed elements, which are my absolute favorite thing about this collection. 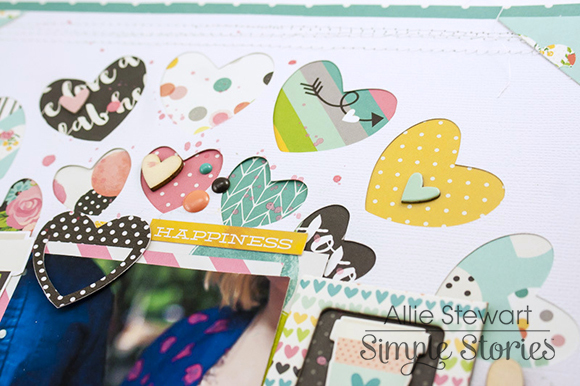 I used a heart die cut and added different patterns behind each heart using the 6"x6" paper pad. I grabbed the coffee cups (LOVE them), and added them to either side of the page. Next, I used the letter stickers to make my title! Embellishing was so fun! I added mist, enamel dots, stickers, and various hearts from the chipboard, wood veneers, and paper clips. To finish this layout, I sewed around the edges. I'm still learning to sew, so my sewing is anything but straight. I passed it off as messy and added corners to cover up where I tried to transition. 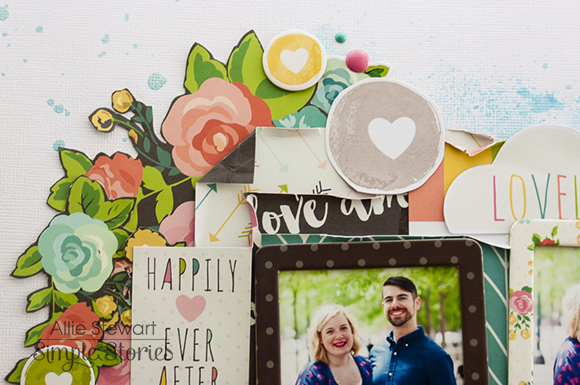 Luckily there are no mistakes in scrapbooking!